With tributes pouring in for the late Robin Williams, fans have taken over the Internet with their very own unique tributes. One such tribute is by Reddit user CeruleanRuin who had seemingly painstakingly compiled photos of Williams spanning his showbiz career from 1951 to 2014. 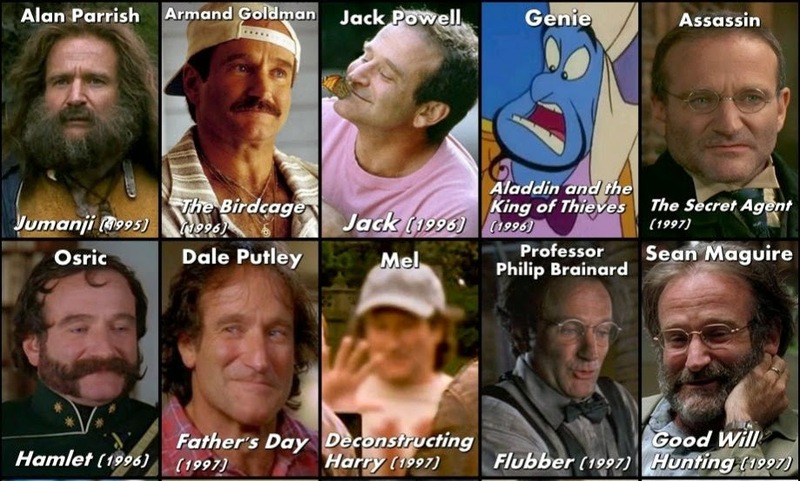 Posted CeruleanRuin, "I made this as a simple tribute to the enormous career of Robin Williams, whose depth and breadth of range has inspired more variety of emotion in me over the course of my life than any other performer. Thank you, Robin. I think I'll go watch What Dreams May Come now." One of the best actor in Hollywood. Aladdin is one of my favorite.